Previous social research in Karimunjawa National Park (KNP) has found that co-management by stakeholders such as government, community and non-governmental organisations improves the welfare of coastal communities and promote ecological conservation. This collaboration requires appropriate economic, regulations and policies (Campbell et al. 2013). Furthermore, after the implementation of the marine protected area in Karimunjawa, local communities have adjusted their livelihood practices by doing seaweed farming and tourism. Therefore ecological and socioeconomic goals may be achieved (Maillet 2012). Consequently, this research will focus on socio-economic effects of the marine protected area in Karimunjawa with a specific focus on household food security. The communities in this area will be studied in detail by measuring indicators of food security such as stability food price and supply, sufficiency food consumption, dietary diversity and food utilisation status. Additionally, the thesis will identify the impact of policies, institutions and processes on food security by analysing the policy of decision makers and policy makers. Assessing the effect of marine protected areas on household food security is important. Most literature indicates the effectiveness of marine management through the success on biological resources but does not discuss whether the implementation of marine management affects human wellbeing particularly the household food security. This study will investigate the effect of a marine protected areas on household food security. The result of the research will contribute to find appropriate ways to increase marine reserves and achieve the welfare of communities at the same time. Effective marine resources management like MPAs is very important since marine biodiversity is threatened by rapid human growth, decline of marine resources, destructive fishing practices (Campbell et al. 2012). MPAs have roles for biodiversity conservation, increase fish stock and food security for coastal population (Aswani 2007). However, it is unclear that the establishment of MPAs in Indonesia especially in Karimunjawa increases food security. In Karimunjawa, coastal communities comply with gear restriction but do not obey spatial restrictions, therefore fish biomass declines in all zones in the marine protected areas (Campbell et al. 2012). Previous research in food security and the Coral Triangle Initiative (CTI) that consist of six countries: Malaysia, Indonesia, Philippines, Papua New Guinea, Solomon Island and Timor Leste has found that it is necessary to build an integrated CTI on coral reef, fisheries and food security to achieve food security, welfare and more benefit from environmental sustainability (Foale et al. 2013). The result of the research is in general and over large area and does not cover all MPAs in Indonesia. Karimunjawa is not part of CTI. 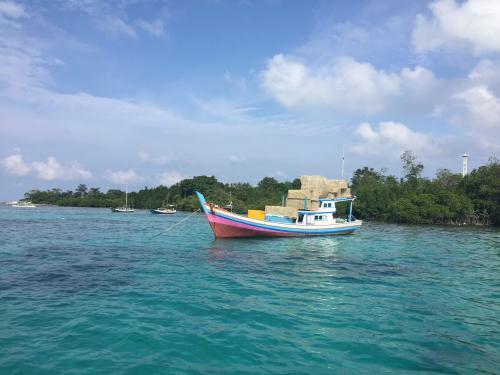 It appears no detailed studies have been conducted on the relationship between marine protected areas and household food security in Karimunjawa. The research will fill a gap in the research on coastal communities’ food security for Karimunjawa region.